No point in having done a good job of configuring your XMS Systems Aircraft Sales Module and you have no aircraft. In this tutorial, we are going to look at the information that will be captured for each aircraft and various options and security features available to display the aircraft. The list of aircraft is ordered in a descending order. That is your “newest” aircraft is displayed first. The usual XMS Systems “reorder” and “filtering” options are available. 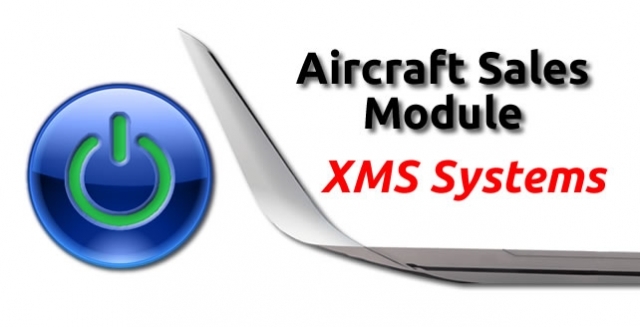 Depending on your configuration for XMS Systems, you will have an orange Facebook and red Google button that will post the aircraft to the relevant social media platform. 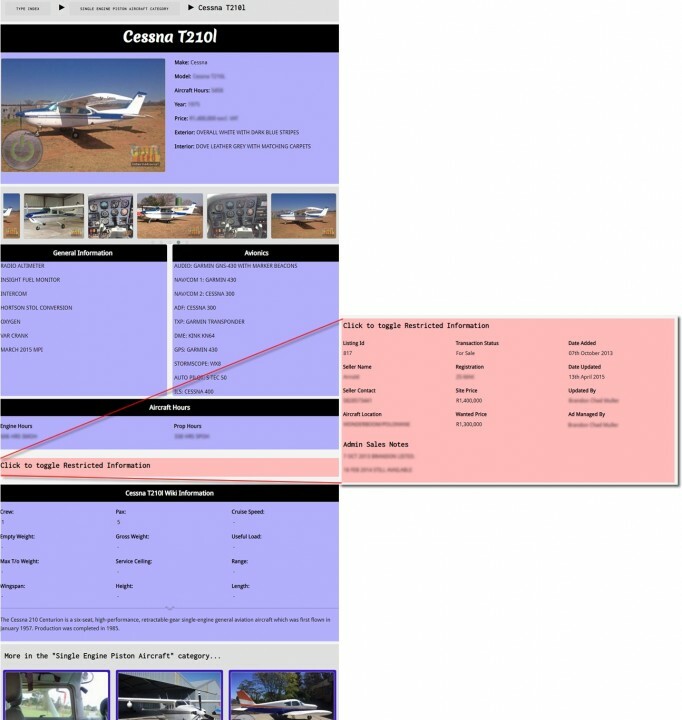 To add an aircraft, click the blue “add new” button at the bottom of the page. To edit an aircraft, click the blue “edit” button next to the relevant aircraft. The page is rather long so I broke it down into its basic sections. This would normally be set to “Visitor – Not Logged In” to allow any site visitor to view the aircraft. If you have aircraft you only want to show when a visitor is registered and logged into your website, set the appropriate Access Level here. The next section deals with the basic sales information. If “Type Owner is some form of partnership, what percentage of the aircraft is available to purchase. The next section deals with the “Interior” and “Exterior” of the aircraft. You can enter as little or as much information as you feel necessary to sufficiently describe the aircraft. You have basic editing functionality to highlight or “bullet-point” sections. Please do NOT abuse the “Bold” button. You can upload 6 images of the aircraft. Each image will be marked with a visible watermark when displayed on the website frontend to ensure your photos are not “stolen” by anyone else. The “Primary Photo” will be used as the main image for the aircraft. So you want the best image possible here to showcase the aircraft. Note: If this image is not available for any reason, the “default file photo” for this aircraft type will be used instead. If no “default file photo” for the type is available, your website Social Media card will be used instead. When photos 2-6 are uploaded, you will have the option to delete any of them by ticking a box and click “update” at the bottom of the page to delete the image. If you want to replace an image, simply upload an image, as usual, to replace the current image when you click “update” at the bottom of the page. Another Note: Please reduce the image size to a reasonable size before you upload a photo. For your potential client's sake, please read this article on optimal image sizes and implement accordingly. The “Primary Photo” will be displayed as a large image with the rest of the photos as a thumb-nailed slider below that. each image is clickable to display the large version. The information that you will be capturing next (General Info, Avionics Info and Hours) can have limited access if needed. This section will control who that information is displayed. By default, I would imagine you will set this to “Visitor – Not Logged on” to allow anyone to view the “General Info” and “Avionics Info” of the aircraft. If you only want to make this information available to registered and logged on visitors, set the appropriate access level. Set this option to “Yes” to display the information you added to the “Manage Aircraft Names, Models and default image” section. If you want to make use of this section, make sure to complete the relevant information as complete as possible with relevant information. Keep in mind that this section could work in your favour when it comes to SEO (Search Engine Optimisation) because it contains general information about this specific aircraft type. This section deals with the “General Information” and “Avionics Information” of the aircraft. You can enter as little or as much information as you feel necessary to sufficiently describe the aircraft. Copy and paste might not work as expected. By design, we will attempt to remove all tables and other hidden characters from your pasted content. Enter the appropriate engine, rotor and gearbox details. Enter the appropriate engine, turbine, rotor and gearbox details. This section contains the general information that should not be available to any visitor but is important to ensure maximum information is available to all your staff members. This information block, if enabled and visible to the logged in administrator, will be hidden by default. The block can be displayed by clicking on the heading and hidden again by clicking on the same heading. The number of times this aircraft has been viewed on the website. Not 100% accurate as the counter does not differentiate between potential clients and administrators. Every time the aircraft is displayed, it will add one view to the counter. If “Display Admin Data” is allowed in “Aircraft For Sale Module Configuration”, the minimum access level you set here will limit the ability to view this section. Normally I would expect this to be fairly “high level” access. Limited to admin only. This is the price the current owner wants to sell the aircraft at. More in "Aircraft Sales Module"